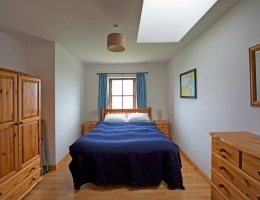 Coastguard Patch is a beautiful and spacious self-catering cottage situated on Valentia Island in one of the most beautiful areas of south-west County Kerry, enjoying stunning views of the Iveragh Peninsula, Valentia Lighthouse, Dingle Bay and the Blasket Islands. Valentia Island is connected to the mainland by a bridge at Portmagee, and there is a ferry service from April to October between Knightstown and Reenard Point, Cahirciveen. 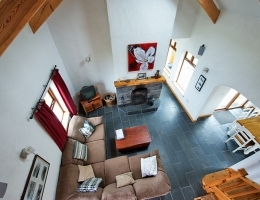 Activities nearby include golf, boat trips, angling, diving, cycling, horse-riding and many beautiful walks. There are a number of good pubs and excellent restaurants nearby. 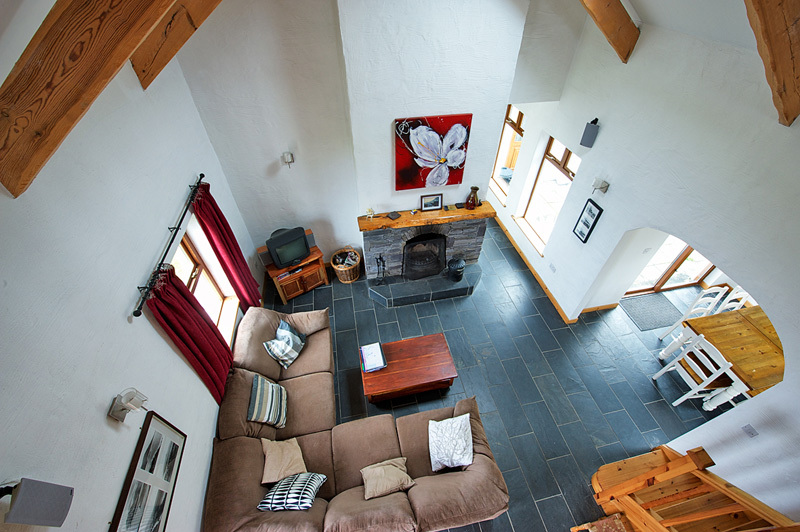 Coastguard Patch is furnished and fitted to a very high standard offering bright, clean and spacious accommodation, with under-floor heating throughout.The house will comfortably accommodate 6-7 people and is designed to meet the highest Bord Failte 4* specification. The kitchen will comfortably seat 8 around a large kitchen table and contains all modern conveniences including cooker, fridge/freezer. microwave, toaster, kettle and dishwasher. The living room includes satellite TV, DVD player, and stereo. There is a booster seat for small children. Stairs leading from the living room up to the gated mezzanine loft area reveal a living/playing space with Atlantic views. 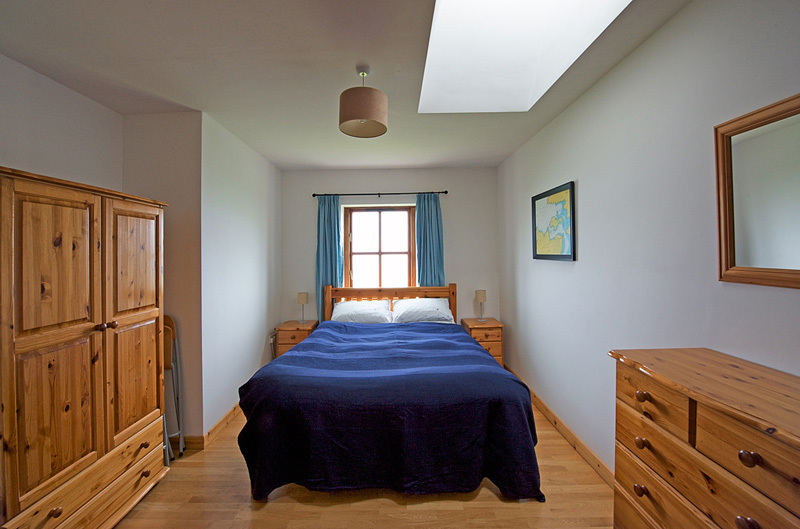 Each bedroom has Atlantic views, oak floors, plenty of storage space, and individually controlled under-floor heating. There is one master double bedroom en suite, one double bedroom en suite, and one bedroom consisting of a double and single bed. There is one travel cot for small children. There is a family bathroom available to all. 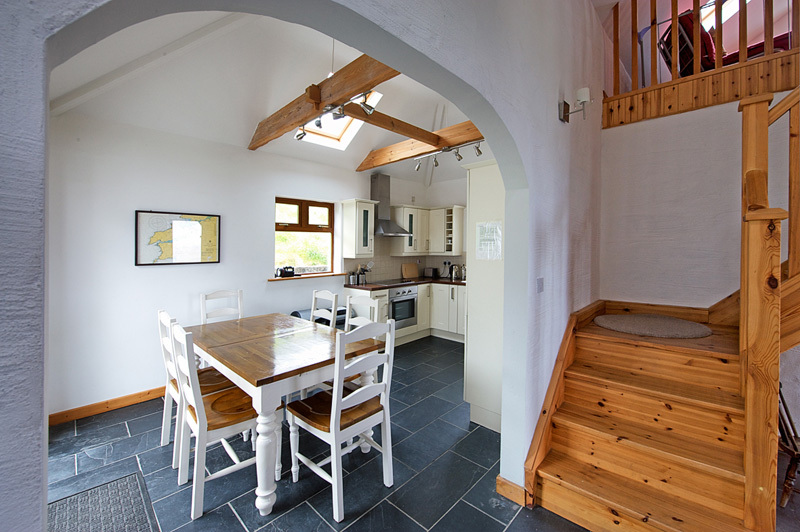 The gated mezzanine loft may also be converted into temporary guest accommodation (on 2 quality double futons). 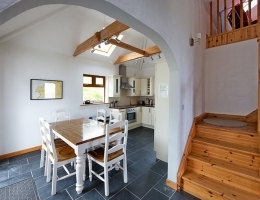 There is a separate utility room which houses the washing machine and tumble drier.